Music by Lotti, Viadana, Palestrina, Gardner, Dowland, Mascagni, Elgar and others. Choral works commenting on love and marriage, from courtship to saying farewell. Join us for festive refreshemnts after the service! 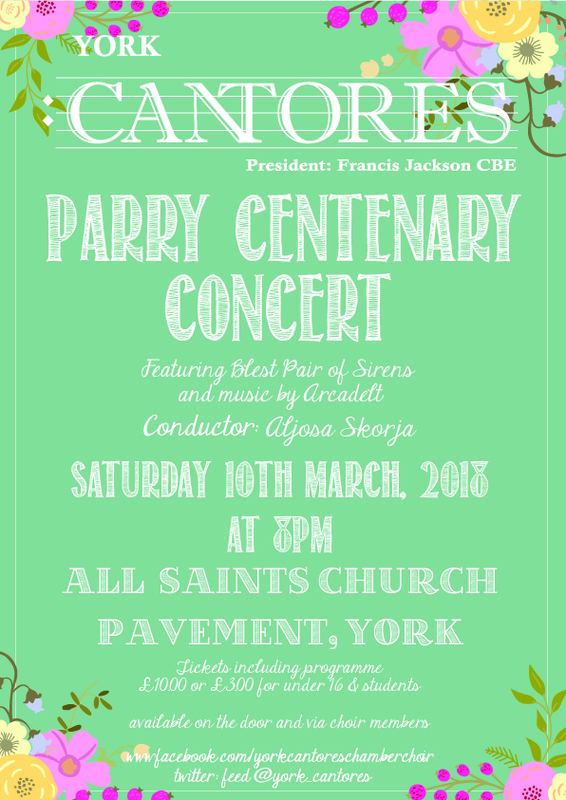 The Péti Consort will be performing choral masterpieces from the 20th Century, from Rachmaninoff, Britten, Messiaen and Stravinsky to Lauridsen, Pärt, Močnik and Whitacre. Including Laurdsen's Les chansons des roses and world premiere of Brown's Spring Winds and Spring Flowers. With the YEP Brass, featuring music by Gershwin, Parry, Beethoven and many, many others. Join The Péti Consort for their inaugural concert in the splendid acoustics of St. Matthew's Church in Chapel Allerton. As part of the Science Lates series, Dr Emily Howard will celebrate the life of the first computer programmer and pioneering mathematician, Ada Lovelace, daughter of Lord Byron. Dr Howard’s short dramatic vocal work Ada sketches (text by Laura Tunbridge) will be presented on 27th July in an evening event at the Royal Northern College of Music. Dr Howard will speak about the process of composing Ada sketches and the mathematics behind the work with colleagues mathematician Lasse Rempe-Gillen and computer scientist David de Roare, alongside performances given by RNCM musicians including singer Rosie Middleton (Lovelace) and conductor Aljosa Skorja. Dr Howard will also lead an audience interactive event engaging the audience in ‘turning numbers into notes’. Halifax Chamber Choir and AdHoc Baroque.